The Avengers caught the world by surprise in 2012. Superhero movies had been growing in popularity for several years, but the fledgling Marvel Studios had just managed to produce the 3rd-highest grossing film of all time, and the highest gross at the time for a film not directed by James Cameron. (What deal with the devil did that guy make by the way?) A series of stand-alone films had culminated in an unprecedented superhero team-up that somehow managed to stick the landing. Marvel’s film experiment was paying off, and all eyes were on them to see if The Avengers was an anomaly, or if they could keep the magic going. 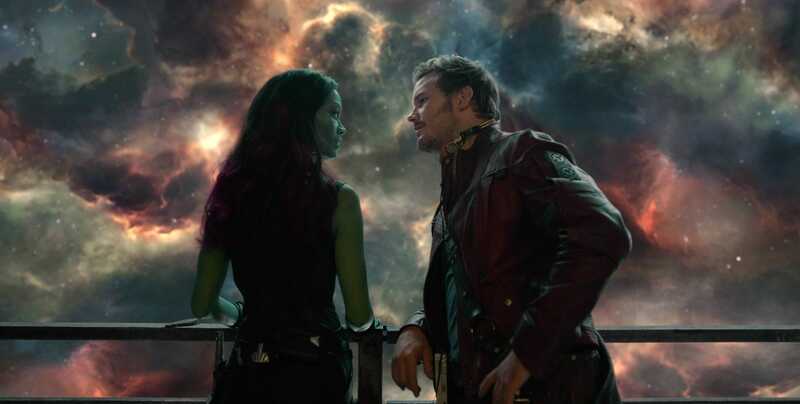 It is difficult to recall in a post-baby-Groot world just how meaningless the words “Guardians of the Galaxy” were in 2014 before the first trailer dropped. Iron Man may not have been well known outside of comic shops before Robert Downey Jr. put on the suit, but he had at least been an established character in the lore for decades. This iteration of the Guardians of the Galaxy that Marvel wanted to adopt had first appeared as a comic in 2008, and had been well reviewed but not widely popular. The Avengers had established Marvel Studios as a powerful brand, and they were ready to take a gamble on it. For this film they weren’t shooting for characters that people already loved and would buy a ticket to go see, they were looking for characters that audiences would fall in love with after “Marvel Studios Presents…” got them into the theater. So, how did they do it? How did a scrappy team of misfits that no one had ever heard of become as popular as Captain America and Thor? There were many reasons, but none more important than the Disney Marketing Machine. The first trailer began with a joke about how even the aliens in the film have never heard of Star Lord before pivoting to literal rap sheets for each of the five characters. The marketing team knew they were starting from scratch in terms of name recognition, and they fully embraced it. A series of buzz worthy trailers followed, and Target stores were a sea of Rocket and Groot toys well before the August release date. 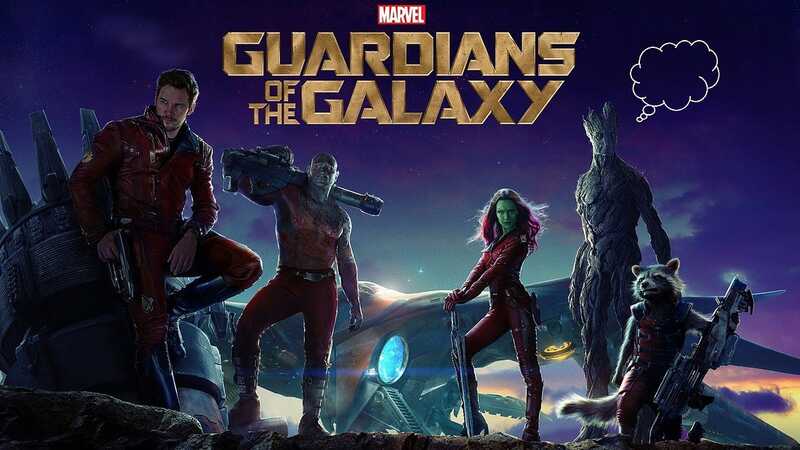 Even fantastic marketing can’t save a bummer of a movie, but in the case of Guardians that publicity was the difference between what might have ended up a critical darling or modest hit but instead became a mainstream juggernaut. They may have been unknowns at the start of the year, but by July most people in the country had at least an inkling that some kind of space raccoon movie was coming soon. And thanks to those trailers, we all had “Hooked on a Feeling” stuck in our heads too. The Guardians of the Galaxy soundtrack was an incredible feat in its own right. It was the first soundtrack in history with no original music to top the Billboard 200 albums chart. Every single song on the album had already been released during the 60s and 70s, but it still managed to go platinum anyway. The album’s tracks are from the mixtape Peter’s mother made him before she passed away, which writer & director James Gunn expertly weaves throughout the narrative. “Come and Get Your Love” doesn’t just play for the audience’s benefit during our introduction to Peter Quill/Star Lord, that’s what he’s actually listening to on his Walkman while he dances around and plays Indiana Jones with some space treasure. The songs were written into the original script, and are often shown to be playing through someone’s headphones or the ship’s speaker system. It’s an inventive approach, and also helps to ground the film while it spends most of its time with strange creatures in otherworldly locations. The songs become more than nostalgia or background noise, they’re truly character moments. At the end of the day, it’s the strength of the characters that really sells the movie. 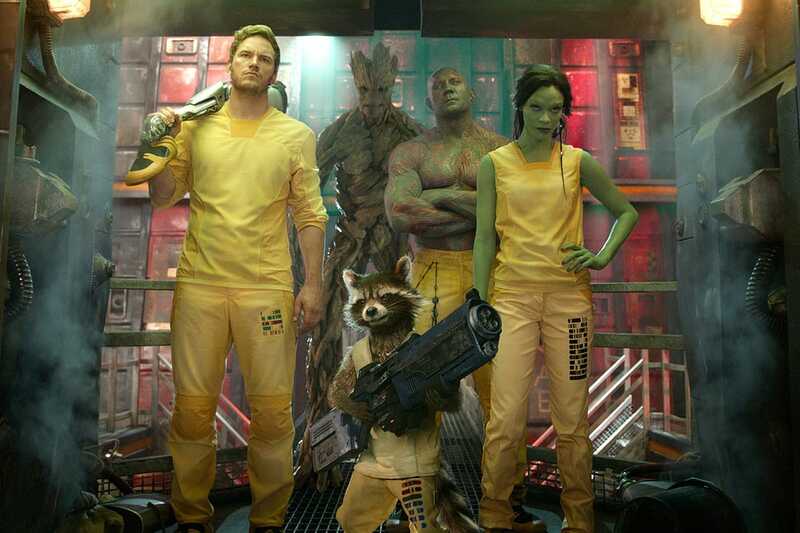 Some of the personal idiosyncrasies would have been very easy to get wrong, like Groot only saying his own name or Drax not understanding metaphors and sarcasm, but the casting was spot on (especially Chris Pratt, at the time only known for Parks & Rec) and the script does a great job of playing the characters off of one another. Other than the Hulk, who isn’t known for scenes with dialogue, Rocket and Groot were the first Marvel heroes to be completely digital creations. It’s a testament to everyone involved that Rocket is one of the most charismatic characters on screen and Groot, with a total vocabulary of 5 words, gets one of the most emotional line deliveries of the movie. At a certain point while watching I forget that they’re computer generated creations, they’re every bit as important as any other character in the film. This helped pave the way for a film like Infinity War, where an all-digital Thanos gets more screen time than any other character. The film’s villain is a bit one-dimensional here and the infinity stone exposition can feel shoehorned into the script, but I could spend all day just watching the “12 percent of a plan” scene where the heroes sit in a circle and argue. It’s that core team dynamic that makes the film so entertaining. Guardians of the Galaxy was a massive risk. 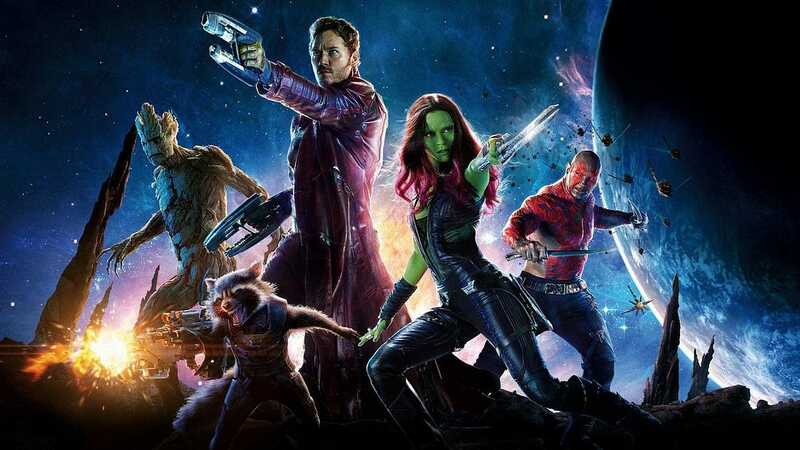 It’s a testament to Kevin Feige that Marvel leaned into the concept so confidently, and to James Gunn that the film ended up being so enjoyable. The film and its sequel are popular entries in the Marvel universe, but have become a cultural phenomenon in their own right. My kids wander around the house with Star Lord dolls that spout Chris Pratt phrases, and his mask is as recognizable to them as Darth Vader’s. Disney theme parks are beginning to add Guardians of the Galaxy themed rides. Rocket is suiting up with Captain America and Iron Man in Avengers: Endgame later this week. One of my 4-year-old’s favorite songs is by Led Zeppelin because Marvel decided the latest Thor movie should have a Guardians aesthetic and put “Immigrant Song” in the fight scenes. My life is (slightly) different because the Guardians of the Galaxy got made. I like to think that it’s a little bit better this way.